sailboat. 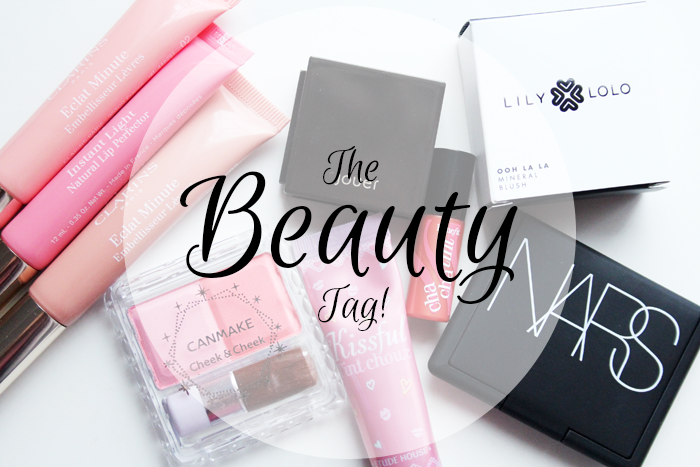 : The Beauty Tag! I saw this tag over over on Life of Verity a couple of weeks ago & I really like the questions. It's really nice to have a good old chat about make up sometimes, makes a nice change from the Uni essays I have to finish this week at least! 1. Do you remember your first make up item? It was definitely something from The Body Shop! 2. What kind of coverage do you prefer for your foundation? Light/medium coverage bases are my favourite. My skin sometimes needs a little more coverage, but I prefer to just use a little more concealer on those particular areas! 3. Favourite high end brand? It's definitely a tie between Illamasqua, NARS and Clarins. Oh and maybe Stila too! Either Revlon, Bourjois or Maybelline. These are difficult questions because different brands do particular make up products really well. Bourjois has really nice foundations, Revlon lip products are wonderful and Maybelline does mascara so well. Chanel is one of those make up brands that's so luxurious and covetable, so I would really like to try something from their range at some point. A more recent addition to my list of brands I'd like to try something from is Charlotte Tilbury because everything looks so dreamy! 6. Do you wear fake eyelashes? I own a few pairs but I've only worn them once I think. They were a huge faff to put on because I seemingly have little coordination and I kept worrying that they were going to fall off! 7. Is there any kind of make up you can't leave the house without? I don't mind going outside without any make up on any more. There was a time in my late teens when I didn't think I'd ever be able to say that because I was so insecure about my skin. Although my skin is far from perfect now, I'm at the point in my life where I don't really mind what other people think. Of course sometimes I have those days where I'll have to put on some concealer and blush to make myself feel a little more confident and I think that's okay. It's important to do what makes you feel happy and confident. 8. What is your most cherished beauty product? I have to go with my Dior Rosy Glow blush for this one. It's so luxurious, anything that comes in its own velvet pouch is pretty special and it was such a lovely birthday gift to open! 9. How often do you shop for make up? Do you pick out a lot of products at once? It used to be quite often and I'd happily buy a couple of things at a time. After having a good look through my collection and realising that I have a lot of lovely products that I don't use enough, I've stopped popping into Boots & Superdrug so often so I'm not tempted to buy more. If there's a product that I'd really like to try and it's not super expensive I'll let myself buy it, but it does have to be something pretty special. 10. Do you have a 'beauty budget'? Not really, but I do keep an eye on what I'm spending and if it's something I don't need then I'll ask myself if I'll really use it. 11. What type of product do you buy the most? Pretty blushes probably! I'm always sucked in by the beautiful colours! 12. Do you have a favourite place to shop for make up? Online shopping is my favourite kind of shopping. Being able to sit in my pyjamas, fawn over pretty things and a few days later a wonderful parcel arrives on my doorstep is perfection. I particularly like having a browse through the pages of Cult Beauty every so often. 13. If you could only buy from one brand, which brand would you choose? Oh gosh, I'm not sure. I think either NARS, Clarins, Jouer or maybe Revlon. I'm not very good at just choosing one! 14. Which brand has the best packaging? I really like the interlocking Jouer packaging, although it's dangerous for my bank balance because I'm always wanting to add a new product. Clarins also has beautiful, simple packaging that looks a little bit special. 15. Which celebrity always has great make up? Lauren Conrad always looks stunning, as does Dianna Agron. 16. 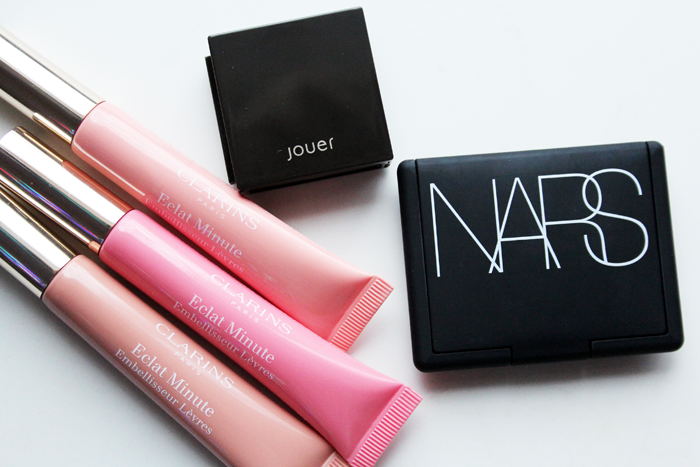 Which do you apply first, concealer or foundation? Foundation and then I can apply concealer just where I need a little extra coverage. Sometimes if my dark circles are really bad I'll apply a concealer that's slightly too dark for me underneath my foundation as a little bit of a corrector. 17. Do you like multifunctional products like lip and cheek stains? I do, sometimes they're really handy especially if you're traveling and don't want to take too many products with you. At the moment I really love the Stila Convertible Colours, which look equally as beautiful on the lips as they do on the cheeks. 18. Do you apply your foundation with a brush, sponge or fingers? I always use a brush. For some reason I really don't like applying it with my fingers and I've never used a sponge before. I would really like to try a beauty blender or something at some point though because I know a lot of people love them! 19. Which foundation do you use the most? 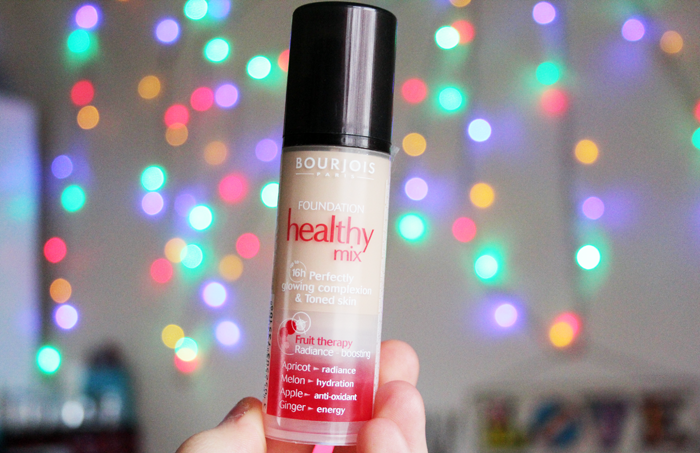 There are a few I really like, but at the moment I've gone back to the Bourjois Healthy Mix because it's so reliable. 20. Do you use a make up base or primer for the eyes? If I wore eyeshadow I would definitely use a primer, I really like the Benefit Creaseless Cream Shadows. I use face primers a little more often. The Illamasqua Satin Primer is really wonderful for dry skin because it adds an extra glow to the complexion. You and your fun tags :) you always find the best tags to do! It's always fun to read about people's favorite products and brands! Have a great weekend and I hope you get some spring sun! This is such a lovely tag - i completely agree on fake eyelashes. I've tried to use them once and failed quite spectacularly! 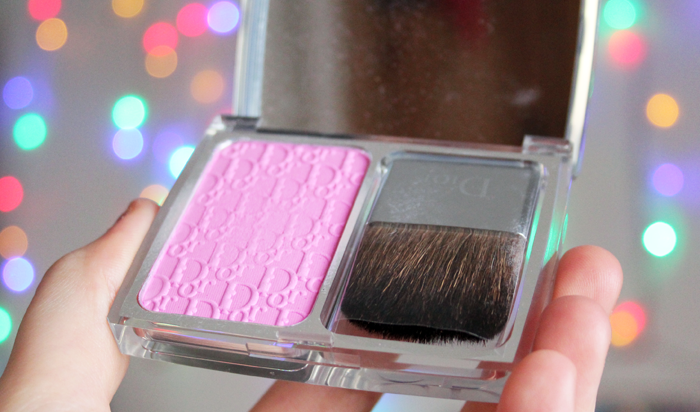 that dior blush is absolutely beautiful. i'm also lusting over all things charlotte tilbury! 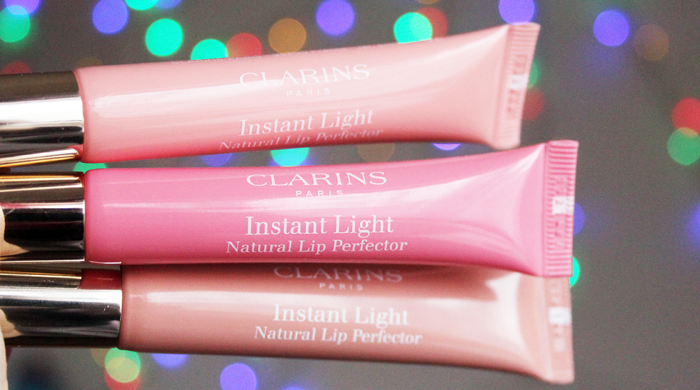 I really want to try the Clarins Lipglosses! They have been on my wishlist for so long, maybe it's time to finally purchase one!? I wasn't a fan of tags but lately I'm enjoying throwing one up at the weekend when I don't usually post just as an opportunity to chat. I'll be featuring this one at some point soon! And I think my first make up item was something from The Body Shop! Really enjoyed reading this tag Jennie! Beautiful day! I find it so hard to choose a favorite brand, too - as you say, different brands make some good products :) Really enjoyed this article. Oh such a fun tag! I definitely need to try out somethings from the clarins makeup line! That lip/cheek palette looks so gorgeous! 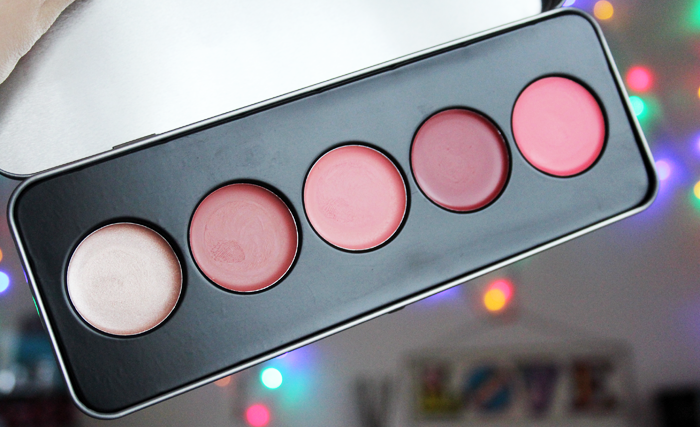 I love cream blushes! Pretty sure my first makeup was from TBS too! I accidentally went out without makeup the other day and had to buy some concealer! I don't mind being barefaced when on holiday but feel weird without a little concealer when I'm out and about. Great tag - I really want to give it a go! Such a great post! It was done so beautifully! I wonder if everyone covets Chanel cosmetics? I just cannot bear to bring myself to buy anything that out of my price range! Lauren Conrad...oh my gosh, I have totally not thought of her in years. I remember how everyone was so into her eyeliner back in the day.